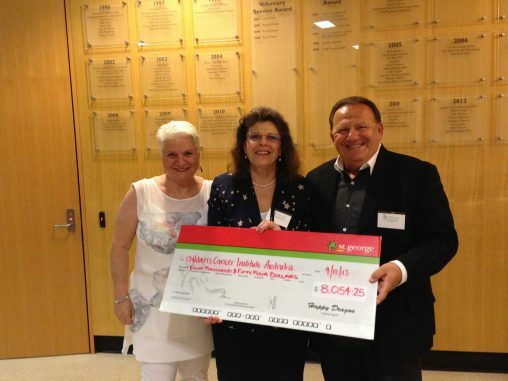 Donation: Kitty Hammerman, CCIA executive director Michelle Haber and Peter Hammerman. Sydney-based retailer 2nds World is currently running a novel and generous promotion in partnership with Children’s Cancer Institute Australia (CCIA). Until 24 November 2013, 1 per cent of every sale from the retailer’s current catalogue will be donated to CCIA. A Narta member, 2nds World specialises in appliances and consumer electronics with small imperfections or damage to packaging, factory run-outs and refurbished goods. Christmas is a wonderful time to spend with family and friends. It is also a time for giving and to offer help, however we can, to people less fortunate than ourselves. I am delighted to be offering 1 per cent of all catalogue sales up to 24 November 2013 as a donation to the CCIA. The Australian appliance and consumer electronics industry has a proud record of supporting a wide range of charitable causes, such as Blanco’s Gold Partnership with the National Breast Cancer Foundation and Sony’s incredible work raising money through the Sony Foundation and Wharf4Ward event.